There are no cancellations or changes once an order has been placed, if an option is left unanswered or unmarked i will choose the best default option. RETURNS: We accept returns on certain products. Totes, purses, pencases, cardholders, pouches, and all other accessories are not returnable. 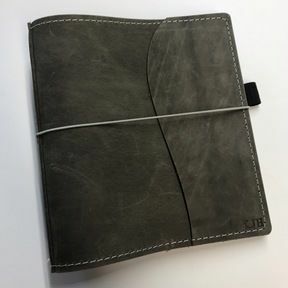 If your planner has more than a 1.5” spine then your order CANNOT be returned. To start your return process please contact Mlgandco for instructions and return address. 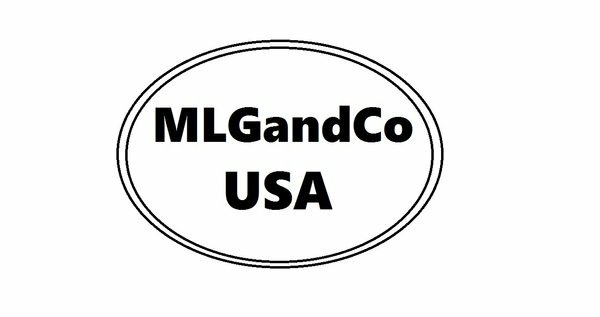 You have a 10 day window from receiving your order and contact MlgandCo to start the return process. You will be charged a 15% restocking fee. I put a lot of time in the designing and construction of your cover and cannot get this time back, everything is made to order and i do not keep items in stock. Return shipping is the customers responsibility. We suggest using priority mail as it provides insurance and tracking. QUICK INFO: All covers are made on the slight roomy size. Regular (1” spine) comes with 4 elastics. Wide (1.5” spine) comes with 6 elastics. Xtra Wide (2" spine) will automatically come with 6 elastics and can be upgraded to 8. Each listing is for that specific leather and the listing has a brief description of the leather. Elastics are matched to thread where there is no option. The larger the spine the wider the cover will be. Order notes are not always a guarantee... PLEASE READ THE LISTING.